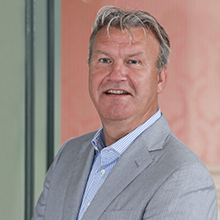 Bart Bruin is co-founder and Director of Integis. He is a highly experienced forensic accountant, who has worked for a wide range of clients throughout his career. In many cases he acted as manager/project-leader. Bart’s research and advisory work encompass the broad fields of integrity and security. Core concepts for him are quality, independence, objectivity, effectiveness and efficiency. Bart started his career in the civil service where one of his positions was as coordinator in the Department of Forensic Accountancy of the Division Central Investigative and Information Service (“CRI”). After his move to the private sector, he worked as Director of the research departments of two Big-Four companies, and also with specialised investigation firms. Bart is as a teacher also connected to Nyenrode Business University, Bachelor of Science in Accountancy.